Is this set in the future? It seems pretty interesting despite me recognizing only one character in it. No, it's not in the future. There are some indications that at least some issues take place later in the timeline than most of the other Bat-titles, but it'd only be by a month or so, not years or anything like that. Oh its that Bat family book that immediately sidelined my two of my favorite members of the Bat family. So ... this is still a thing.
" .. there's one more thing I want to do. " 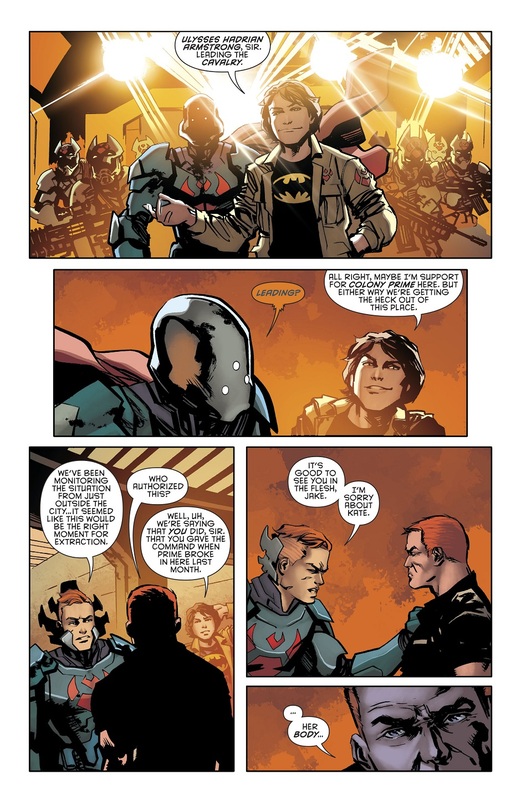 Before Flashpoint, Ulysses here really liked to cosplay. 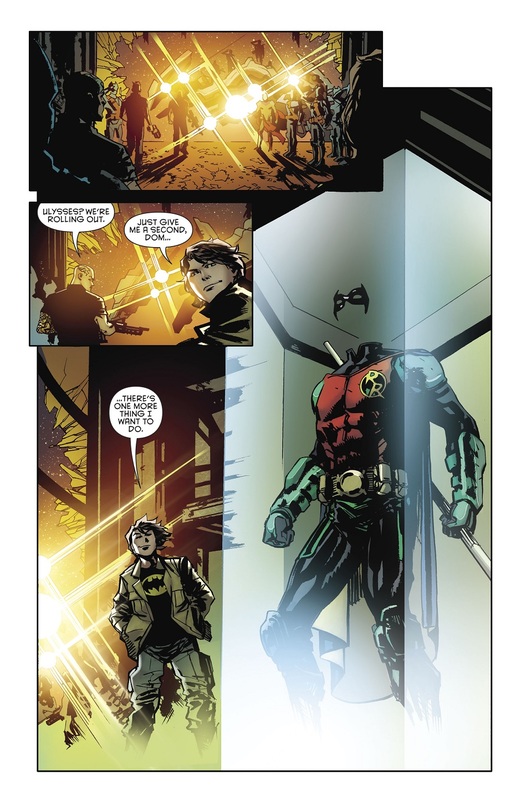 He led gangs in historical reenactment costumes as the General and then, during Niceiza's run on Robin and Red Robin, he was showing up as Red Robin and Anarky. I just hope this book includes Lonnie Machin too. Uh ... Ronin? I think you're in the wrong universe. I agree. 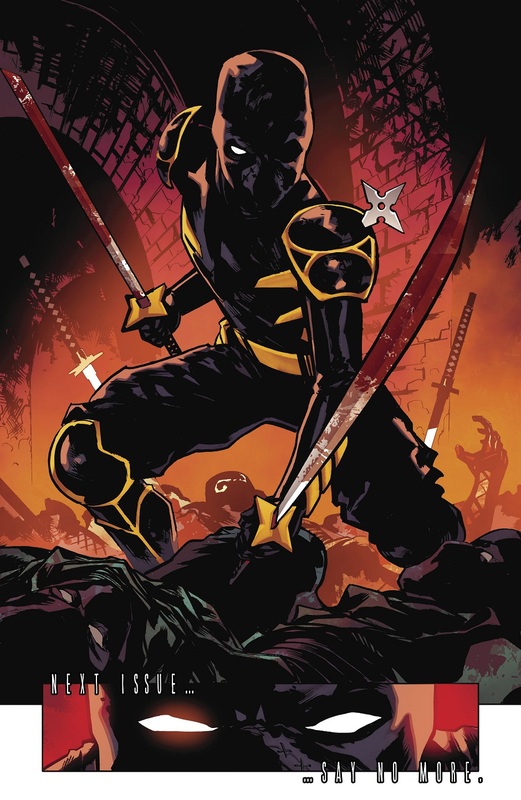 They really need to update that darn costume to make it so un-Ronin. Given Tim and Stephanie got a notification to more their classic costumes. I hope Cass does too by arc's end. And Cass has clearly killed a whole bunch of those people by the looks of things on that last page. Did the artist not get the 'Cass doesn't kill' memo? Nothing clear about it, actually. 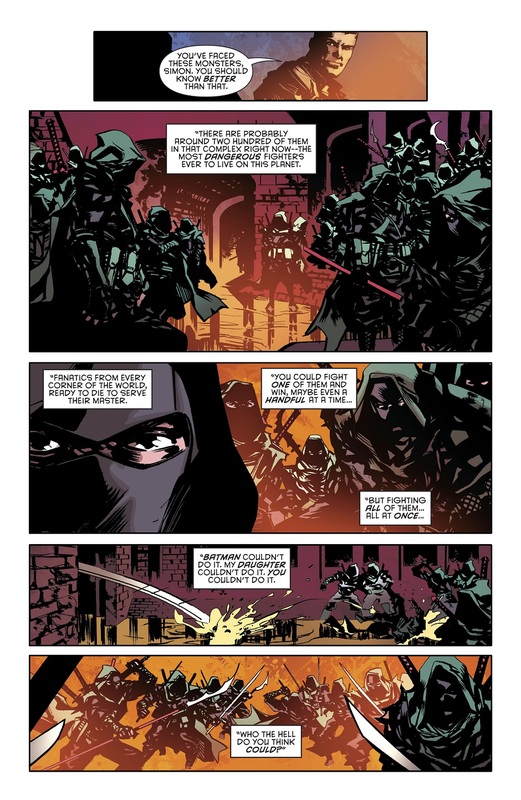 We know from earlier issues in this arc that Shiva is capable of impaling people without hitting vital organs or major blood vessels, so it's not at all unreasonable that Cass could do the same. plus, you know. she could have always beat them unconscious. blood on the swords just means blood got on the swords. splash off from a beating. non fatal cuts. cass wouldn't be cass if she didn't know how NOT to kill. mental toll. Basically, she's seeing the kill strikes first, and is trying her damnest to not kill. No one can understand her basically, save possibly Clayface who knows she's going through something and Shiva who heard her "call". Thing is. Non-lethal still means Cassandra can be pretty brutal. This is also a Cassandra who never got the "lecture" by Batdad to not do crazy things like she did to that one thug in her ongoing by stopping his heart. She won't kill you. But she will probably make sure these assassins can't be able to kill the way they used too.